Industrial Production data and NAHB housing market index data is due out this morning. Brexit uncertainty has created a range for the pound and the markets await a breakthrough in the negotiations between the two parties. 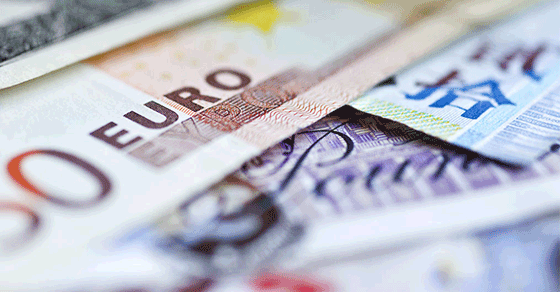 Mixed data out of the Eurozone provided a slight bump for the euro. Rates are not real time. Rates are today's indicative mid-market rates as of time of publishing, which may vary. Please contact SVB for a current quote. The dollar looks to Industrial Production data and the NAHB housing market index data to provide some direction after starting the week on the back foot yesterday. Boston Fed President Eric Rosengren said that the Fed should let inflation run above 2% in good times in order to retain the ability to fight economic downturns. European negotiators have been given the green light to start trade negotiations after a threat of new tariffs. They are targeting a deal by September. The pound remains range bound due to the lack of progress in the UK Parliament to break the Brexit deadlock. Strong UK wage growth data provided some support for the pound, and the pair looks forward to US Industrial Production and NAHB Housing Market Index data released today. The loonie continues to trade sideways as oil prices rally, but gains are offset by growing speculation for rate cuts by the Bank of Canada. Markets look to inflation data due Wednesday and retail sales figures on Thursday to provide direction for the Canadian dollar. AUD is today’s weakest major currency after the Reserve Bank of Australia’s minutes discussed a potential rate cut, making this week’s employment data and next week’s CPI that much more important. Contact your respective SVB FX Advisor or the SVB FX Advisory Team at fxadvisors@svb.com. Subscribe to receive the Daily FX Update in your inbox. Thank you for subscribing to SVB's Daily FX Update. You’re almost done. Please check your email box and follow the instructions to confirm your subscription. If you did not receive an email please check your Spam or Bulk E-Mail folder just in case the confirmation email got delivered there instead of your inbox. If so, select the confirmation message and mark it Not Spam, which should allow future messages to get through. We also suggest you whitelist the svb.com domain. Please note that we will continue to send you communications that we need to send you (for example, to keep you updated on operational changes to your account, a product or a service) or that we are required to send you by law. This article is intended for U.S. audiences only. ©2018 SVB Financial Group. All rights reserved. Silicon Valley Bank is a member of the Federal Reserve System. Silicon Valley Bank is the California bank subsidiary of SVB Financial Group (Nasdaq: SIVB). SVB, SVB FINANCIAL GROUP, SILICON VALLEY BANK, MAKE NEXT HAPPEN NOW and the chevron device are trademarks of SVB Financial Group, used under license. The views expressed in this email are solely those of the author and do not reflect the views of SVB Financial Group, or Silicon Valley Bank, or any of its affiliates. This material, including without limitation the statistical information herein, is provided for informational purposes only. The material is based in part upon information from third-party sources that we believe to be reliable, but which has not been independently verified by us and, as such, we do not represent that the information is accurate or complete. The information should not be viewed as tax, investment, legal or other advice nor is it to be relied on in making an investment or other decisions. You should obtain relevant and specific professional advice before making any investment decision. Nothing relating to the material should be construed as a solicitation or offer, or recommendation, to acquire or dispose of any investment or to engage in any other transaction.